The Endeavour 340 (34′ LOA, 16′ beam) offers excellent performance, economy, accommodation, and comfort. This long-range cruiser is a full-displacement catamaran designed in Australia and lends itself to extended inshore and offshore cruising with twin 60-hp outboards. 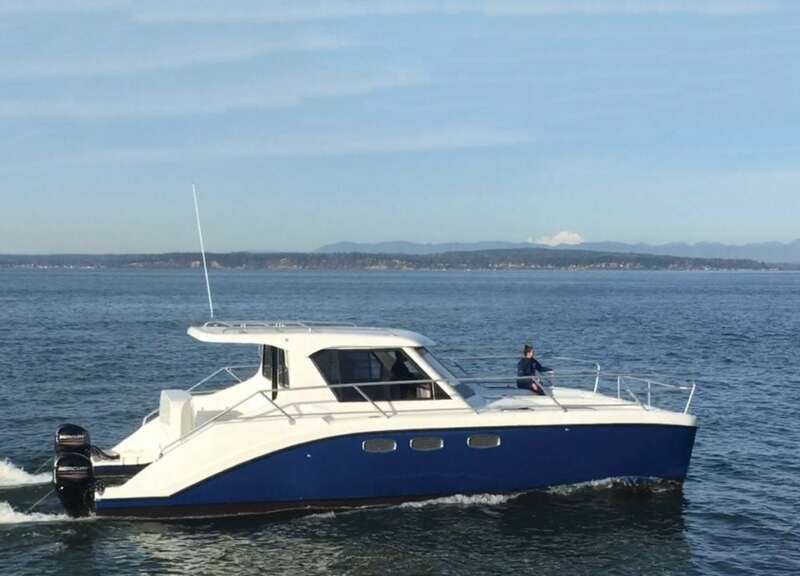 Owners can comfortably cruise at 12 knots with a range approaching 600 miles or speed to your destination at 20 knots averaging two miles per gallon. The U-shaped galley and dinette, along with the ergonomically designed center helm, provide stunning panoramic views. The layout flows seamlessly to the large aft cockpit designed for entertaining or lounging. Whether you are a family looking to cruise inshore and island hop or are transitioning from sail yet still have an adventurous spirit, this Endeavour 340 can fulfill your needs.